Last night, he spoke to her as if she had already won season three of “The Voice” when he said, “I’ve never heard you sing as good as you did tonight. 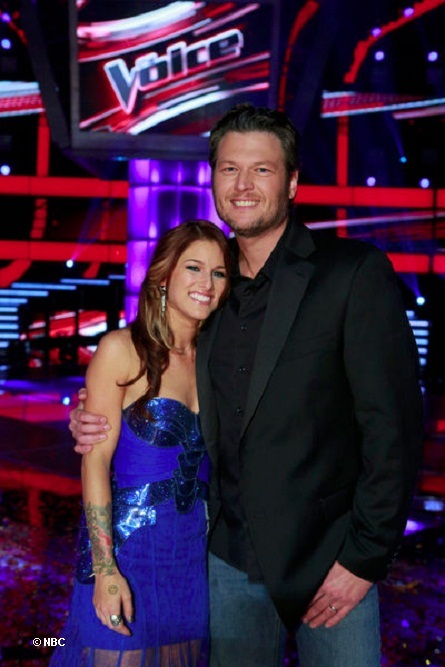 Congratulations Cassadee!” Tonight, Blake Shelton could confirm it after host Carson Daly announced the winner as Cassadee Pope. Daly announced the artist in 3rd place as Nicholas David. Nicholas looked very disappointed on stage, yet was very graceful and contained his composure. “I hope nothing but the best and I will be with you,” were Cee Lo’s words of encouragement to Nicholas David after finding out he came in at third place. Pope was a unique cross-over rocker to country. And she transitioned very well. Blake said that he noticed right away that the strength in Cassadee was that she could deliver country music with conviction and is able to connect with the lyrics and tell a story. She left her band in order to peruse a possible spot on “The Voice” this season. 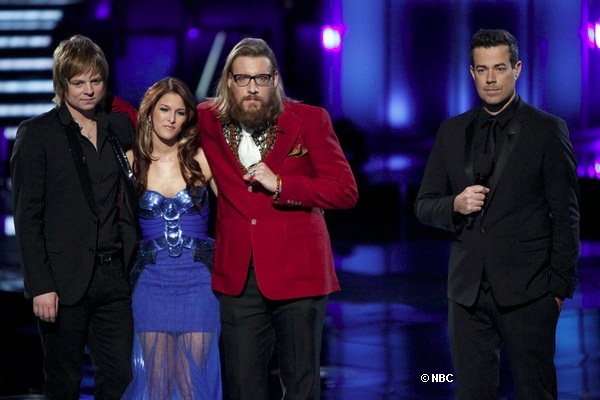 Daly said, After announcing that she had won “The Voice, ” Daly said to Cassadee, “you’re in a band of boys. You don’t need those boys anymore. You’re all alone.” With excitement, Cassadee said, “I’m all alone.” Her exposure on “The Voice” also gave her the chance to reconnect with her Father when she used the show to reach out to him. He finally responded. With more than 40 million iTunes record sold, Cassadee won’t have a problem moving-on in her music career as a solo artist. The last performance for this season from the coaches was they performed “Green Day” song “Time of Our Life”. Next season, the family of coaches will be broken-up when Christina Aguilera and Cee Lo Green exit and Usher and Sakira enter to fill their Season Four spots.